I Hate Lorde And You Should, Too — Anna Akbari, Ph.D.
Well, I don’t hate her. If we we were in a Facebook relationship, it would definitely be “it’s complicated.” You’d think that from one seventeen year old, small town Tumblr princess to another, I would be nothing but overjoyed with elven queen of Middle Earth, Lorde’s, resounding global success. You could even say that I was a fan when “Royals” was little more than a song I stumbled across on Spotify and mindlessly hummed along to. However, therein lies the real danger of all infectious pop music. What is it that we’re really listening to, what is subliminally being sold to us via glitzy, tantalizing Top 40s? The answer is nothing good, and Lorde is selling it to us hidden behind the mask of an intelligent, opinionated, and mature, teenager. There are plenty of things about Lorde the person which I admire: her modesty in the face of her newly acquired fame, her brutally honest opinions of other musical artists and rebuking of the music industry, and her strong positions on feminism and other issues. But in truth these things that make Lorde so great as a person make her a very dangerous pop diva indeed. It is not who she is that makes me dislike her, but rather what it is she preaches through her music. 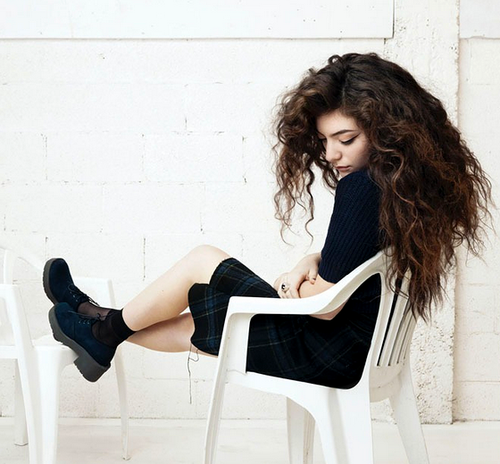 Her music doesn’t possess the same depth of maturity and worldliness as the young Lorde does. Has anybody actually stopped to listen to the lyrics of any of her songs? If you haven’t, please do and make your own conclusions. I will admit, her presentation is far more vivid and poetic than most, but at their core, her songs are the same superficial, materialistic kinds of works we would expect from Miley or Katy. Her songs are a trip through the typical, self-serving struggles of a blissfully ignorant teenager. There is no substance, no depth to her words. Lorde is the first teen who has really broken through to the core demographic of pop music listeners and hasn’t made herself another novelty to be exploited by the Disney corporate machine, made into another 3D movie experience or television show, only to waste away in a matter of years in the dumpster, along with her Lorde for Kmart collection. And it is her persona, her very not pop looks, and her ambivalence to fame that makes her a cut above the Biebers and Hilary Duffs of the world. Lorde is the antithesis of pop, and therefore is exactly what people want out of their pop music. She’s versatile, original, and here to stay, whether I like it or not. But I could like it. And, I have to admit, girl’s got style. She pulls together any look effortlessly with a good pair of chunky footwear. If you’d like to get your Daria on, too, I’d recommend a simple caged sandal, just in time for warmer weather. I really do think that Lorde is a very intelligent and deep person. I like the things she has to say when she’s not moaning them through a microphone. I think that her fame will enable her to see the world with a wider scope, and then she’ll begin to write songs about more than crass materialism and shallow teenage nothings. She’ll write about things that matter. Hopefully. Lorde is a presence that can really impact how people my age think, and I am rooting for her to become the empathetic messenger of tolerance and love I know she can be, and truly is. But until that day comes, I’ll keep my Fleetwood, Gaga, and Lana on repeat. I’ll watch my generation allow the world to slowly burn around them due to gross negligence as they keep their callow faces buried deep in their computer screens. Feather or Dot, Melting Pot:When is Cultural Appropriation Just Cultural Creation?